April 19-May 31, 2017. 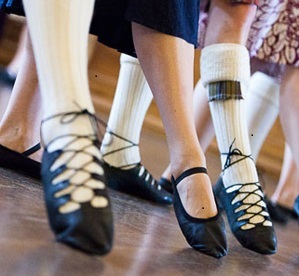 Scottish Country Dance Adult Beginner Class. Schedule: Seven sessions on Wednesdays 7:00 - 8:15 p.m. Registration: Registration now open. Sign up online for class #14565 at http://www.mscr.org or look for the MSCR Summer Catalog in print. Please note: classes with low enrollment are cancelled 5 days before the scheduled start date; sign up early to help ensure the classes run. May 28, 2017. Social Evening - MSCR Graduation. 7:00 p.m. - 9:30 p.m. Wil-Mar Neighborhood Center. An evening to celebrate the current class of graduates from the Madison School & Community Recreation. Easy dances, limited teaching. June 9-11, 2017. Midwest Scottish Weekend. Wayland Academy, Beloit, Wisconsin. More information. June 18, 2017. Social Dance Evening. Social dancing highlighting dances from the Midwest Scottish Weekend. Limited teaching. July 16, 2017. Annual General Meeting. Approximately 8:30 p.m. during break period. Social dancing with limited teaching. August 6, 2017. Social Dance Evening. Limited teaching. August 27, 2017. Social Dance Evening. Limited teaching. March 10, 2018. 41st Annual Ball. Great Hall, Memorial Union, UW-Madison Campus. June 3, 2017. Milwaukee Highland Games. Wauwatosa, Wisconsin. More information.